Geek Grotto - Get Your Geek On! : Final Fantasy Type-0 Has A Release Date And BONUS!! Final Fantasy Type-0 Has A Release Date And BONUS!! So, on March 17, 2015, not only will PS4 and Xbox One fans get to play the HD version of the previously PSP Japan exclusive Final Fantasy Type-0, but you will also get a voucher to play the demo for Final Fantasy XV! LOS ANGELES (Sept. 17, 2014) – At Tokyo Game Show, SQUARE ENIX® announced today FINAL FANTASY TYPE-0™ HD is scheduled for release on March 17, 2015 for North America, March 19, 2015 for Japan and March 20, 2015 for Europe. Originally announced at this year’s E3, FINAL FANTASY TYPE-0 HD brings the world of Orience to the PlayStation®4 computer entertainment system and the Xbox One, the all-in-one games and entertainment system from Microsoft. The game allows for a new type of FINAL FANTASY experience, featuring a gritty worldview and an action-packed battled system. In addition, the company has confirmed that a downloadable playable demo of the highly anticipated FINAL FANTASY® XV will be included with FINAL FANTASY TYPE-0 HD as a special bonus. Titled ‘FINAL FANTASY XV -EPISODE DUSCAE-,’ the demo includes elements from the opening sections of the full game, but alters story progression and more to create a unique first-play experience. The demo is activated by a voucher included with FINAL FANTASY TYPE-0 HD. To accompany this announcement, an official FINAL FANTASY XV trailer has also been released worldwide today. 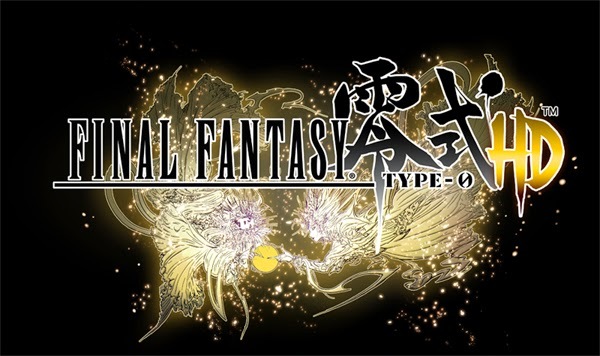 FINAL FANTASY TYPE-0 HD will be priced at $59.99. Both FINAL FANTASY TYPE-0 HD and the accompanying ‘FINAL FANTASY XV -EPISODE DUSCAE-’ demo will be available for the PlayStation®4 system and the Xbox One. These titles are not rated. Please visit the Entertainment Software Rating Board (ESRB) website at www.esrb.org for more information about ratings. The company also announced today that, as part of a development restructure, Hajime Tabata, director of the original FINAL FANTASY TYPE-0 and FINAL FANTASY TYPE-0 HD, will now serve as the director of FINAL FANTASY XV, as the development of the title moves towards completion. This move allows Tetsuya Nomura to focus his full efforts as the director of other highly anticipated titles, including KINGDOM HEARTS III. “In reviewing our development structure, we have decided to assign Hajime Tabata as the new director for FINAL FANTASY XV. Currently, Tabata and the entire development team are working, whole-heartedly, towards completing the production of FINAL FANTASY XV and ensuring the delivery of the highest quality FINAL FANTASY title to date,” said Square Enix CEO Yosuke Matsuda regarding the staff changes. “We invite every one of our fans to view the fruits of our labor through FINAL FANTASY XV’s demo, and promise to present a game that further surpasses expectations when the finished product is released.